Laserfiche has been driving innovation within businesses using the Digital Transformation Model. Wherever your organisation is on its journey, this guide will provide the necessary insights into digitally transforming your business. The third phase of DTM is about automating and eliminating inefficient processes. You may be relying on inefficient, manual processes that are not standardised and waste time and resources. In this phase, you will be taken on a journey to automate manual processes and tasks to increase efficiency, standardise your processes and reduce the risk of regulatory non-compliance, like POPI, for example. * Business leaders lack the ability to manage and audit information access. Using Laserfiche, you will be able to eliminate all non-standardised paper forms and replace them with a smaller set of electronic forms that can be submitted through your company's intranet. This initiates a workflow that automatically routes the information to the relevant managers for review and approval. Additionally, you will have more time to engage with employees and help them with complex decision-making as opposed to spending time pushing paper. Recent studies show managers believe they could contribute to an organisation's success, beyond traditional functions such as hiring, if they could free themselves of manual tasks. Laserfiche has many different automation tools available to help streamline processes within your business. One piece of technology that Laserfiche is developing that is disrupting the industry is Robotic Process Automation, or RPA. RPA applications are programmed to perform the same action a human would do over the interface of multiple line of business applications, which is a huge advantage for enterprise resource planning or business process management systems, because they don't need to be retooled. They mimic the way that people use applications by following simple rules in order to automate an abundance of business processes. RPA software can work across multiple applications that might not otherwise communicate with each other. Now, you may ask yourself what RPA can do for your business, or if it is suitable for your business process. Laserfiche's RPA can be configured to perform just about any business process, for example contract management in real estate. In this industry, administrators spend a vast amount of time drawing up and sending contracts to potential tenants, keeping track of which contracts have been signed and are about to expire. RPA will make this process quick and easy, by automatically drawing up new contracts prior to expiration and sending out for digital signing. You could save massive amounts of time and paper by automating your contract management process. "In the space of contract management, Laserfiche assisted Avis Fleet by removing the laborious task of drawing up contracts. It took months for contracts to be completed, with difficulties such as miscommunication and transportation of physical documents. Laserfiche assisted Avis by creating a process that automates repetitive tasks, like generating standard contracts within seconds, based on the customer's requirements. Customers receive their contracts, sign it online and it is automatically routed back to the Avis team to be processed. They saved time and money by eliminating paper and courier expenses," says Francois Pienaar, Senior Laserfiche Engineer at Noscotek. It's no wonder that Laserfiche's RPA Software is already drawing substantial attention from executives across the globe. 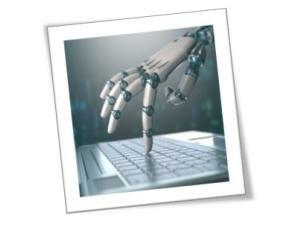 It is predicted that RPA software can reduce costs and time by up to 80% to 90%. RPA robots offer several advantages, such as working 24 hours a day without having to take a break or to occasionally go on vacation, and it drastically increases production. 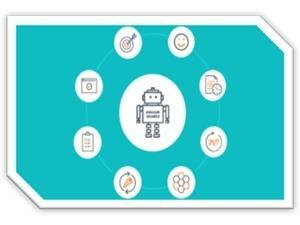 It is only sometimes that an RPA automated process requires a human to make a decision, in order to prevent inaccuracies and handle exceptions. For the rest of the time, you can enjoy continuous and consistent productivity within your business. There are many different actions that can be automated, such as opening emails, logging into the Web, moving files and folders, scraping data from the Web, following if/then decisions, collecting data from social media platforms and many more. Artificial intelligence will also be added to the mix in the future, allowing Laserfiche's RPA software to make intelligent decisions. Prepare yourself for higher returns, because expensive tasks will no longer need to be implemented. * You need to identify repetitive business tasks that could potentially be automated. These are typically processes that are high-volume and very time-consuming. * Build your business case by estimating the benefits and performing pilots. * Finally, you should evaluate who will oversee the RPA software and implementation. Now you can sit back and relax, because Laserfiche's RPA has got this! To find out how Laserfiche can help you, and in which phase of the DTM your business is, please click here for a free online assessment. For a free demo and to learn more about Laserfiche, contact: Bianca Bornman, Tel: (+27) 11 100 4678, e-mail: bianca@noscotek.co.za, Web site: www.noscotek.co.za/laserfiche. Laserfiche is a leading global provider of enterprise content management software, empowering organisations to take control of information and business processes. With intuitive on-premises and cloud solutions for document management and process automation, Laserfiche improves productivity, efficiency and strategic decision-making for organisations looking to transform into a digital workplace. For more than three decades, Laserfiche has fostered an active user community that shares ideas and inspires solutions. To learn more, visit http://laserfiche.com/about-laserfiche.